Bert Martinez is an Marketing Consultant, Author, Entrepreneur. 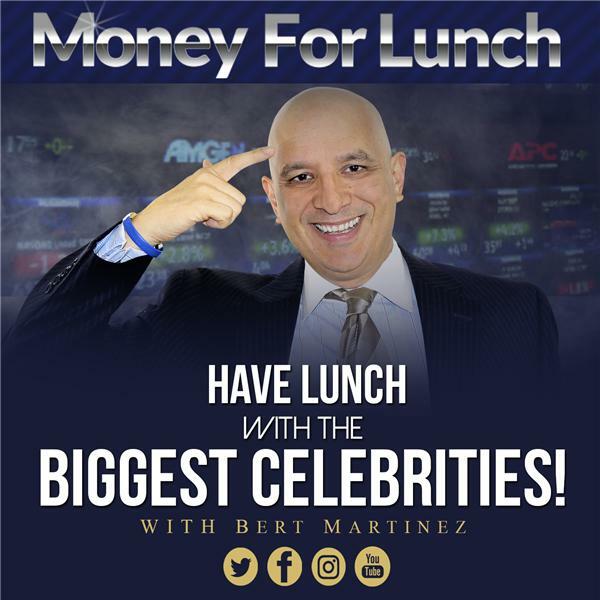 The goal of Money For Lunch is to share inspiring stories from the most brilliant business minds, world class athletes and influential celebrities on the planet; to help you discover tips and strategies to make your business and your life better than ever! Bas Rutten - UFC Heavyweight Champion, turn movie and TV star, business man and inventor. New Interviews, and Inspirational videos will be posted every week on Youtube! Subscribe to the channel here: https://goo.gl/EA9x6D Connect with Bert Martinez on Facebook. Connect with Bert Martinez on Twitter. Need help with your business? Contact Bert Martinez. Have Bert Martinez speak at your event! John Matheson - Getting Commercial Loan Success Fast! Michael Buffer is an American ring announcer for boxing and professional sporting events. He is known for his trademarked catchphrase, "Let's get ready to rumble!"